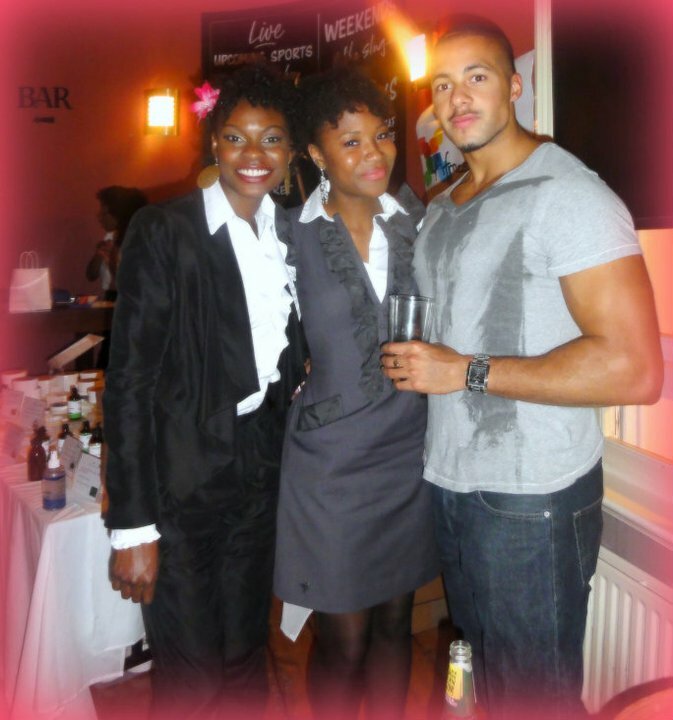 The Afrocenchix night was a great experience. It was my first time attending a natural hair event. As you know the lovely Nwadi of Combing England For Afro Curls hooked me up with a ticket, for which I am truely grateful. Looking around the room there were SO many brilliant styles. It was like standing in a landscape of natural inspiration - just Brilliant! The presentation was very informative, Im just sorry we missed the first part. The ladies took us through some potentially harmful ingredients such as Sulphates and Parabens, and explained exactly why they've been omitted from Afrocenchix products. One particularly important point they made was "just because a product says it's organic, DOES NOT mean it is!" Before the bar area became a consultation clinic, I managed to grab a cheeky gin'n'tonic, at which point the bar man highlighted that I was one of the only people who had asked for an alcoholic drink so far that night. So as a little side note Im asking you guys if going natural is synonymous with not drinking? And if so why? I think the consultations were free, which is always a good look for someone on my kinda budget right now. Similarly the food, which there was loads of, was also free; and I have to say the complimentary slice of cake at the end of the night was Gorgeous! There was some really good musical entertainment on the evening too. However one artist did attempt to cuss out the audience for being noisy during his set which didn't go down to well with some people who left as a direct result. As an artist, I can understand the frustration of feeling as though your audience is distracted, but to be fair we were pretty distracted. 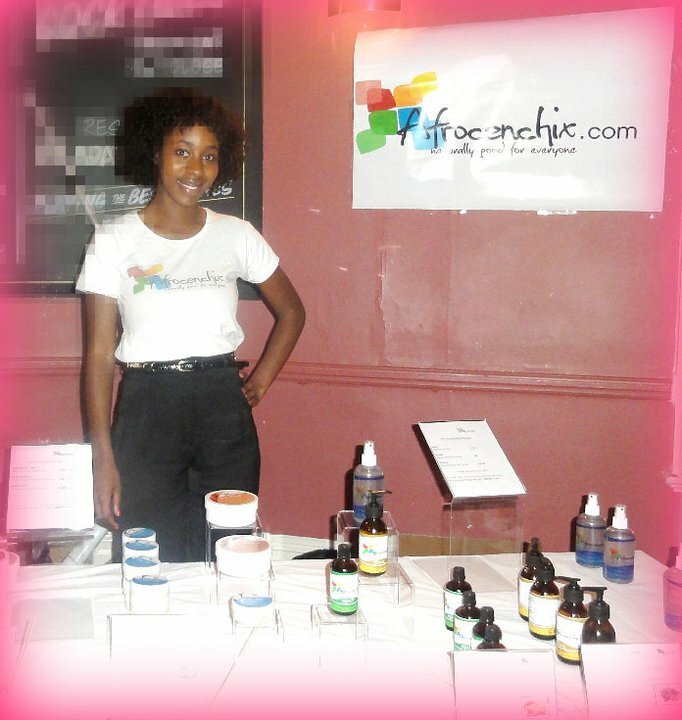 The opportunity to meet and mingle with other naturals was a buzz for us. A lot of people wanted to talk about the products, the night itself and of course each others hair! There were bloggers, vloggers, facebookers and tweeters who Iv been in contact with, followed or have themselves supported Crystal Afro/ United KinKdom, that I finally got to meet for the for the first time. It was so great, and everyone I met was EVEN MORE Beautiful in person. I'll definitely be posting links to you ladies either here on the blog or on the Crystal Afro Facebook Page, so keep looking out. 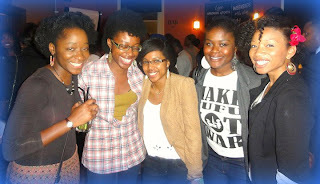 Its so good to to see both the Unity and the Kinks of #Teamnatural UK expanding. Although I didnt get a chance to talk to the Afrocenchix themselves, Im sure we will soon, and I look forward to it. So once again a Massive WELL DONE and CONGRATULATIONS to 2 motivational and inspirational naturally beautiful women. Maybe the not drinking thing was less to do with natural hair and more to do with the fact they'd have to make their way back home - if they drove, they wouldn't be drinking, and nobody really wants to be tipsy on London transport!